Ranger Dylusions BORDERS & QUOTES COLOURING SHEETS dya55228 at Simon Says STAMP! dya55228 This item is on reserve until If you would like to reserve this item now, you may purchase it now with the rest of your order. We will hold your order now and ship your entire order as soon as this item is back into stock. If you would like your order to ship now, please place this item on a separate order. 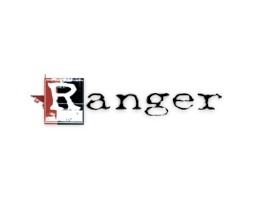 Success, Ranger Dylusions BORDERS & QUOTES COLOURING SHEETS dya55228 has been shared! Introducing Dylusions Borders and Quotes Colouring Sheets for Colouring, Journaling, and Card Making! You will be inspired by these Sassy Quotes and Border Doodles. Featuring 12 exclusive Dyan Reaveley designs printed on heavyweight matte cardstock. Perfect to color in and customize with your medium of choice - then add to your art journal, cards, or collage projects. Ideal for use with Dyan’s Paint Pens or a Water Brush filled with Dylusions Ink Sprays! Make Dyan Reaveley’s Designs Your Own! Includes 2 each of 12 designs printed on 2.5 x 8 inch heavyweight white cardstock.